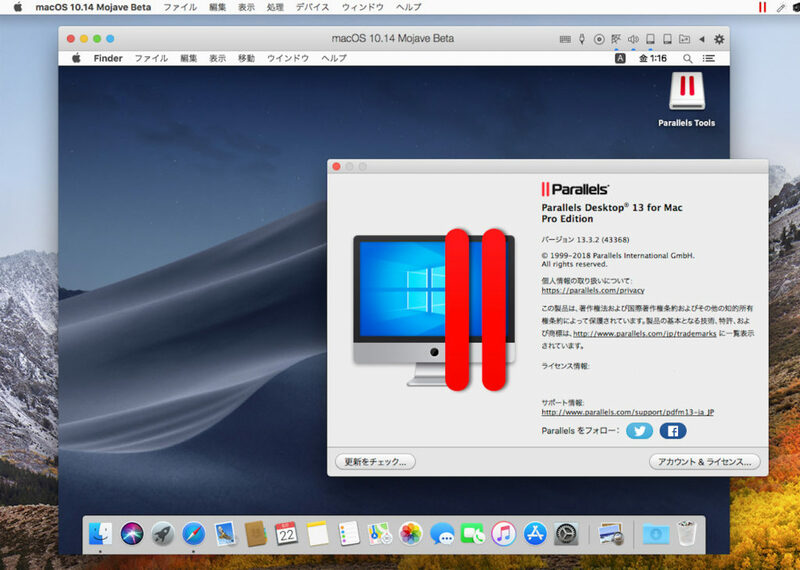 Parallels、macOS Mojave betaのVMで発生している不具合を修正した「Parallels Desktop v13.3.2 for Mac」をリリース。 | AAPL Ch. Resolves an issue with the mouse pointer getting stuck in macOS virtual machines. Resolves an issue with Mac applications having black icons in Windows. Resolves an issue with the Practice Perfect app leaving graphical artifacts after working in Coherence. The virtual machine window may continue showing a black screen. If so, check the virtual machine’s live preview in Control Center if you see the login screen, click the black window where the password field should be located and enter your password to log in. 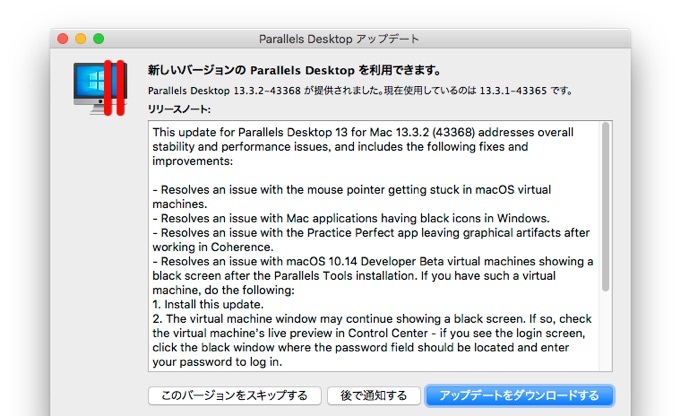 Then wait until the Parallels Tools are updated automatically and the virtual machine is restarted. This may take a few minutes. After that, the virtual machine window should display macOS again. When a macOS virtual machine goes to sleep, the guest version of macOS is paused. Then, after you resume it, the mouse pointer is not displayed. To work around this issue, resize the virtual machine window.